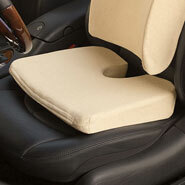 This seat cushion would have worked except it was too narrow and the sides came up too high for my use. When this was ordered, I thought I was ordering the seat cushion, not the back cushion. So it does not work for what I had ordered it for. It probably would work for the back, however that was not my need. This pillow looks like it will be a great choice for my desk chair to relieve back pain while sitting and operating my computer. i have chronic back pain. 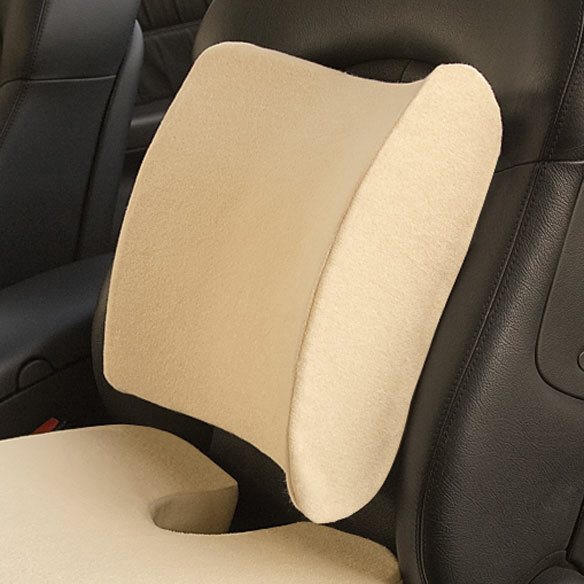 this cushion comfy in the car, or anywhere. Chose this for my car for back support. I have back pain when I'm sitting and I'm hoping this item will help assuage it. To maximize the comfort of my recliner/lift chair. Just trying this product as a pair. My mother has Spinal Stenosis and is bothered by a lot of pain while sitting. Hopefully this will give her some comfort. How does this cushion stay in place? BEST ANSWER: There is no band on it so you have to figure out how to keep it in place. My husband uses his in the truck he drives and the loves it. He uses it to support his lower back. Hope this helps some.